If everything you know about poker comes from the movies, I’m sorry to say that you know almost nothing about poker. But it’s okay, I’m here to help! 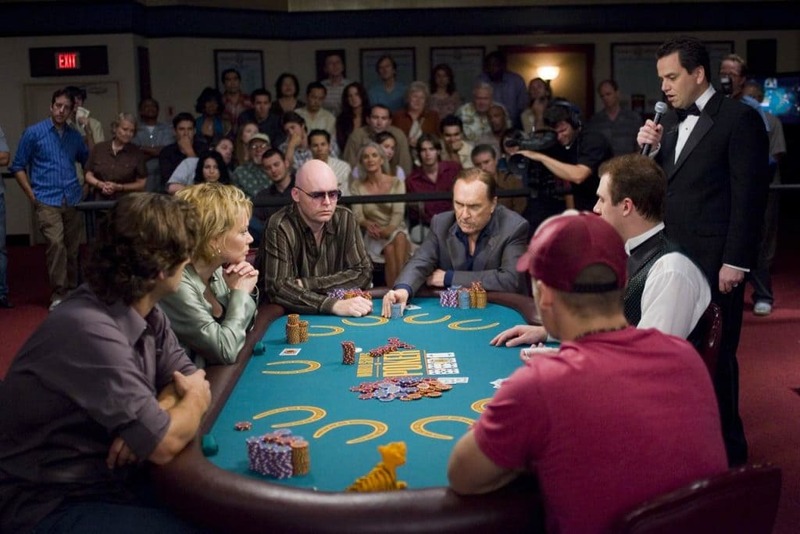 Hollywood films commonly use poker as a plot device or scene backdrop, but almost never depict the game accurately. 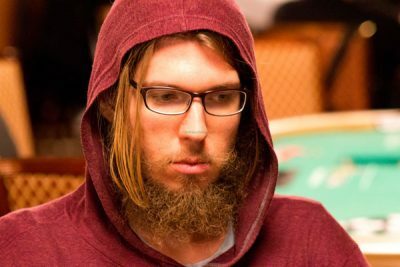 In fact, it’s easy to find poker-related flaws in some of the ‘good’ poker movies. 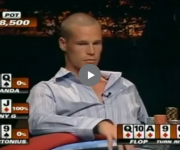 The film ‘Rounders’ starring Matt Damon, has been the gold standard for poker films since it’s release…and even this film leaves a lot to be desired in the accuracy department. 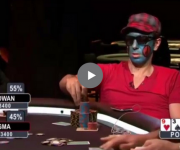 I can’t even count the number of times I’ve started a poker movie and turned it off halfway through because of how badly the game is misrepresented. 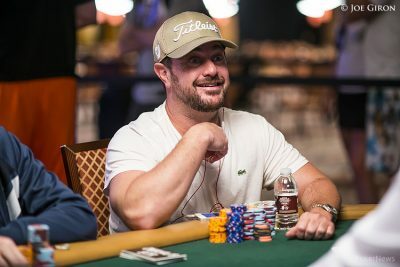 It’s somewhat baffling in fact, Los Angeles is the poker capital of the world, so you’d expect that Hollywood films would easily be able to find a knowledgeable consultant. 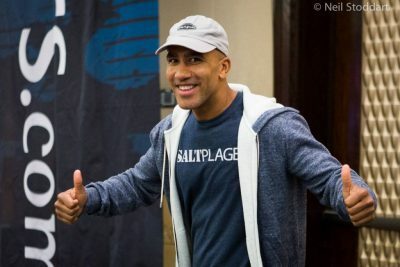 However, the fact that many terrible poker films (I’m talking about you, ‘Lucky You’) actually feature real life poker pros, leads me to believe that Hollywood doesn’t really care about depicting poker accurately. 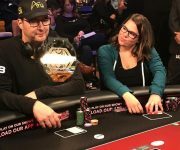 It’s a shame, because real poker is dramatic and interesting and doesn’t need the ‘Hollywood touch’ in order to create conflict and intrigue. 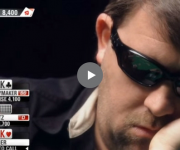 Anyway, here are the five common mistakes that bother me the most in poker films. To ‘splash’ the pot means to throw your chips onto the pile of chips in the middle, instead of placing them out in front of you to be counted and verified by the dealer. 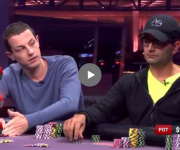 This happens in pretty much every poker movie every made. Obviously, it isn’t allowed in real life, because it would then be impossible to determine if the player put in the right amount of chips. 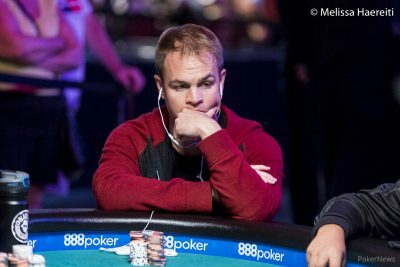 This scene from ‘Rounders’ is ironic because Matt Damon’s character actually makes reference to this poker no-no and tells his opponent to stop, despite the fact that it’s been happening for the entire movie. Okay this is probably the most ridiculous,over-used and unforgivable poker mistake in film. Imagine a movie about chess where a player secures a check-mate by bashing their opponent over the head with a chair, or a basketball movie where it’s somehow legal to use a machine gun to shoot down defenders on your way to the basket. This is the level of absurdity we’re dealing with here. 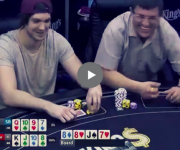 It goes something like this: On the river, Player A announces he’s all-in. 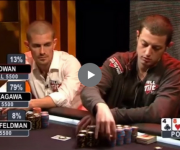 Player B looks at his chips and realizes he doesn’t have enough to cover the bet. 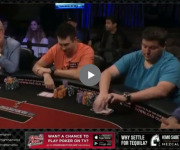 Player B then puts in his gold watch, car keys, or borrows money from a spectator in order to cover the bet. 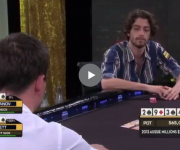 In real life you cannot lose a pot simply because your opponent has more chips than you. 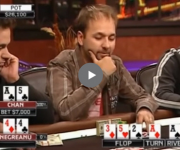 In such a case, you would be all-in for whatever amount of chips you actually have in front of you, and your opponent would only have to match your chip stack with his all-in bet. String bets are a huge poker ‘no-no’ and are also depicted in almost every poker movie. In real life, poker bets must be made in one defined action, meaning the words ‘I call your bet’ constitute a completed and final action. You have called. 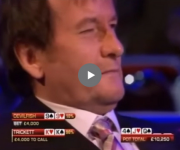 However, poker movies often do something like this: ‘I call your bet…and raise you 10,000 more’. 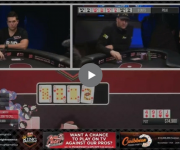 Whether this is done verbally as I just described, or physically by pushing forward the call first and then putting in the raise, it’s highly illegal and never allowed in a real game because it gives the ‘string-bettor’ the advantage of seeing their opponents reaction when they put in the call. Physical tells refer to the idea that certain body movements and mannerisms give away information about a player’s cards. 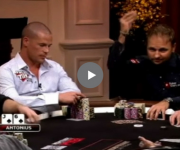 They are certainly real and there are definitely some poker pros who are highly skilled at reading them. However, they are not even 1% as important as Hollywood films make them out to be. 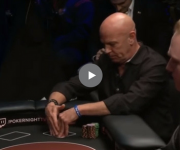 In fact, if you were to trust Hollywood you’d probably think that 100% of the skill involved in poker comes from physically reading your opponent. In fact, poker skill is more about math, game theory, experience, pattern detection, situational awareness, etc. Tells are nice if you can spot them, but it would be almost impossible to develop a winning strategy based on tells alone. Poker is a game of skill in which luck has a large impact on short term results. However, quite often Hollywood films combine the luck and skill aspects and depict a character as skillful through a scene of blind-once-in-a-lifetime luck. The scene above from ‘Casino Royale’ is a perfect example. 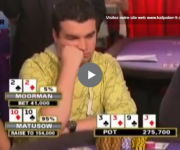 This hand is next to impossible and Bond is simply the beneficiary of pure luck. However, It’s meant to be a victory for Bond, another scene to show that he always wins and is always one step ahead of his enemies.